Grammy award-winning artist Will.i.am recently announced he will help fund a science, technology, engineering, and technology (STEM) program for high school students in Ferguson. 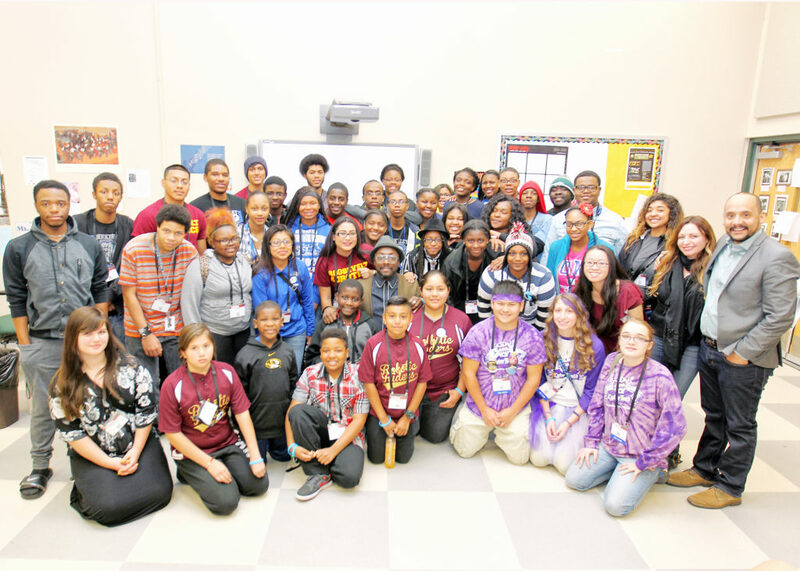 Last week, around 50 students gathered inside of Ferguson’s McCluer South Berkeley High School to hear more about FIRST Robotics competition, a non-profit organization designed to youth develop interest in science and technology. Audible gasps and smiles filled the room, once the “Scream & Shout” singer entered. Will.i.am began his introduction by telling the students about his humble upbringing. “It seems like just yesterday, I was standing in the WIC line, getting food stamps – and now I’m here getting a private jet,” he said. The musician encouraged students to continue their education and to not solely rely on music or sport aspirations for a career. Olga Hunt, science coordinator for Normandy School District, said her district did not participate in the robotics program this year because of the distractions of Ferguson and student transfers. 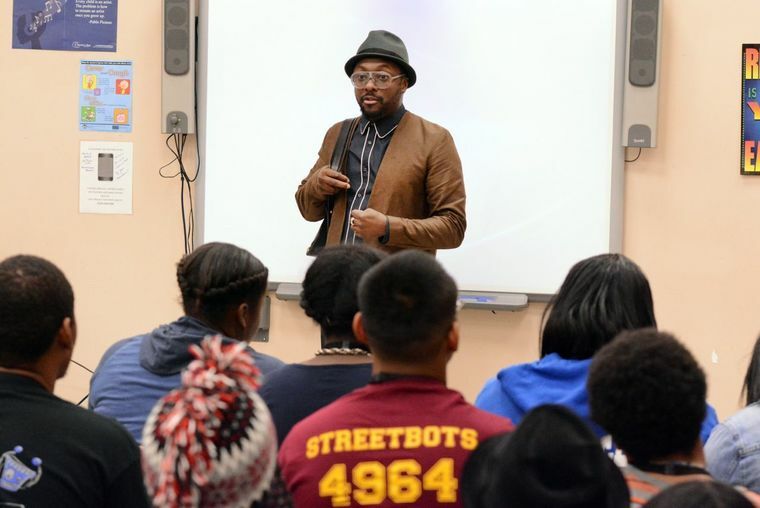 Will.i.am said his attention was brought to the Ferguson-Florissant and Normandy school districts, because every year he attends the First Robotics national championship in St. Louis, yet never sees them participate. The singer/philanthropist’s funding will include bringing a robotics team to the Ferguson-Florissant School District. Megan Smith, U.S Chief Technology Officer, also came to speak to youth. Smith said if it hadn’t been for access to STEM activities in her youth, she never would have earned the title she holds today. “FIRST Robotics is really about those beginning building blocks of learning how to do these things, so in your future you’ll be able to fix the world and make an impact,” Smith told the students. Gwendoyln Diggs, assistant superintendent of Education Operations for Ferguson-Florissant, stressed her excitement about the district’s collaboration with Will.i.am. This story is published as part of a partnership between The St. Louis American and The Huffington Post. Read the full article from the St. Louis American here.